Blaszok is a fully responsive, retina-ready and WPML ready eCommerce theme you can use to build a profitable online shop. It can also be used to create almost any other website due to its flexible design. 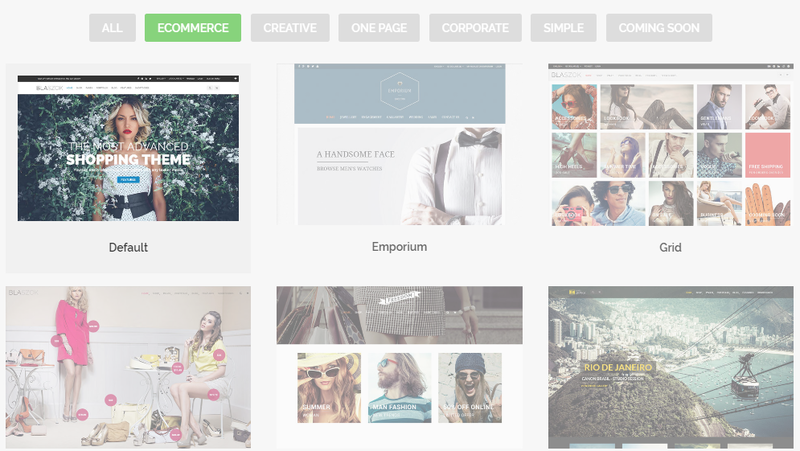 The theme features a clean, modern and stylish design, loaded with over 100 features and customizable options to help you build a unique online store. It’s a fully customizable theme you can change any feature you want to get the kind of website you desire. Blaszok has a responsive design which will make your website to look good and sharp on any device screen sizes. The theme is integrated with the latest version of WooCommerce so you can start selling any product on your site. The theme comes with premium plugins value at $74; Visual Composer, Slider Revolution, Custom widgets and Shortcodes pack as. You will have all these premium plugins for free when you get this theme. Blaszok includes multiple portfolios with different portfolio options and portfolio post sized. This theme has over 600 custom Google fonts and it includes font customization so you can select the font that will suit your need. The theme provides free updates and top-notch support to ensure you get the best out of the theme. Previous articleHow to Use Excel as a Database with Tables?